Category: 18c Frederic Remington Commemoration 1981. Issue Year: 1981 Date of Issue: 9th October, 1981. 18c Coming through the Rye. 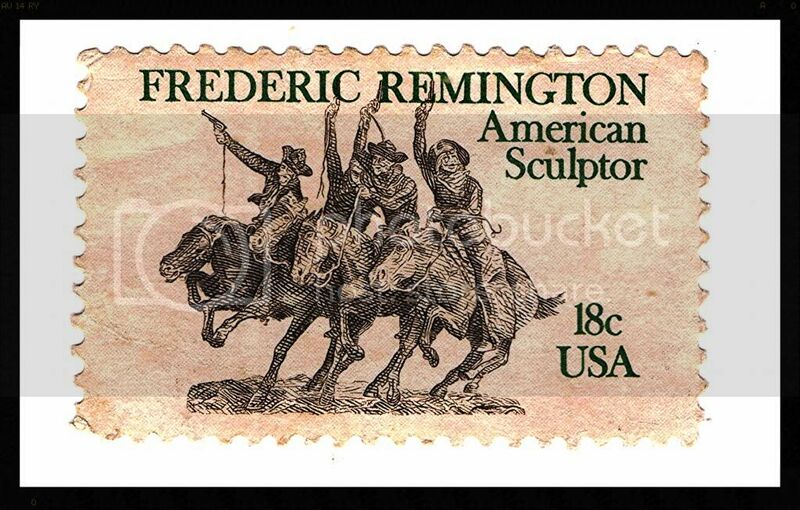 Frederic Remington (sculptor) Commemoration 1981.